I’m not totally sure of the story behind this box, but I’ll give you my best guess. 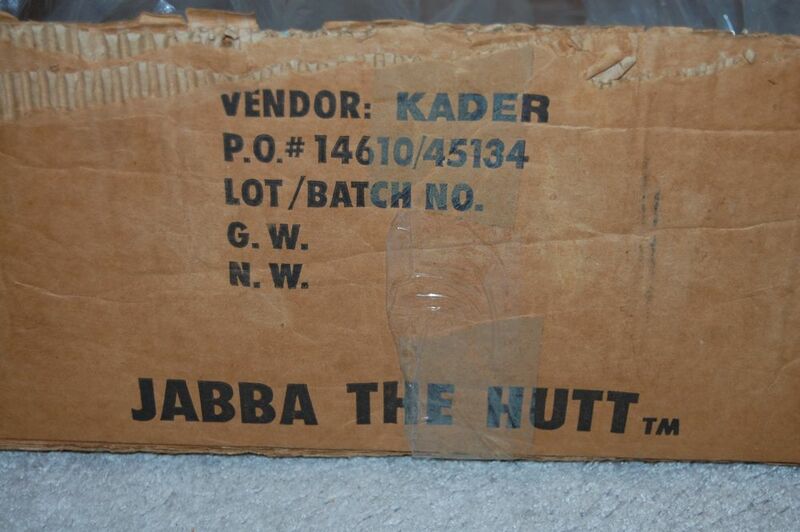 I’ve heard that boxes like this were used to ship the Jabba figures from the factory to another location where the Jabba the Hutt playset was assembled. But they made a lot of those playsets (it’s still relatively common even today) and they had quite a few of the playset parts left over after the Return of the Jedi line had wound down. I’ve heard stories of resellers in the mid-1980s who bought up dozens or even hundreds of individual pieces. Some of them allowed their customers to “build their own” playsets by mixing and matching pieces. 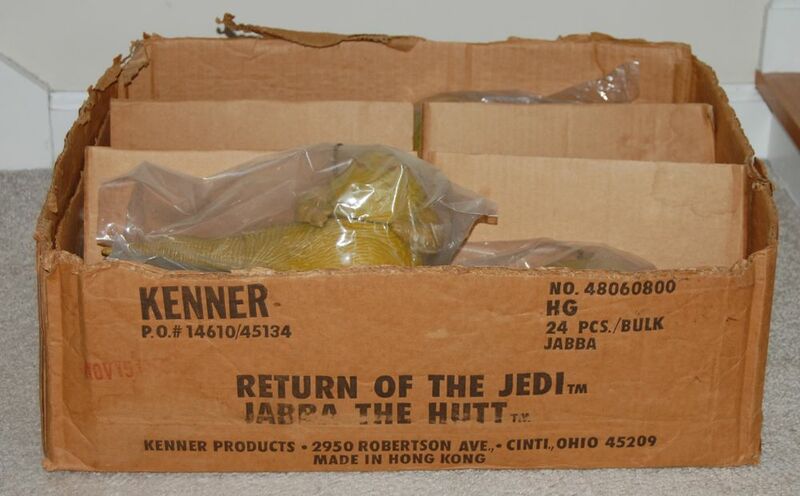 So it may be that this was surplus stock purchased by a reseller back in the day when Kenner was trying to make a little money on their extra Jabba inventory. 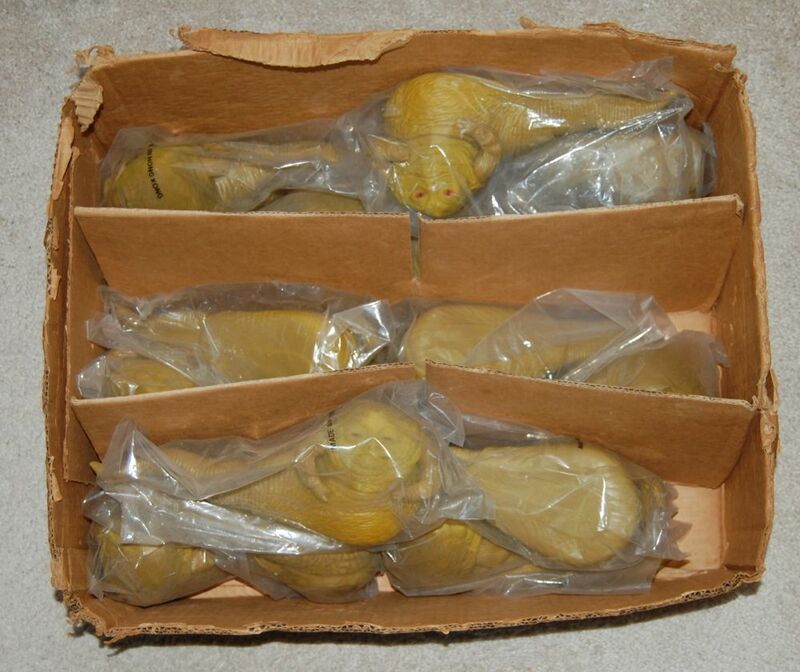 In any case, I’ve never seen a box like this for sale before, so I naturally snapped it up when it appeared on eBay. It’s marked with the vendor name “Kader,” which I assume refers to this company in Hong Kong (the baggies are all marked “Hong Kong” as well). 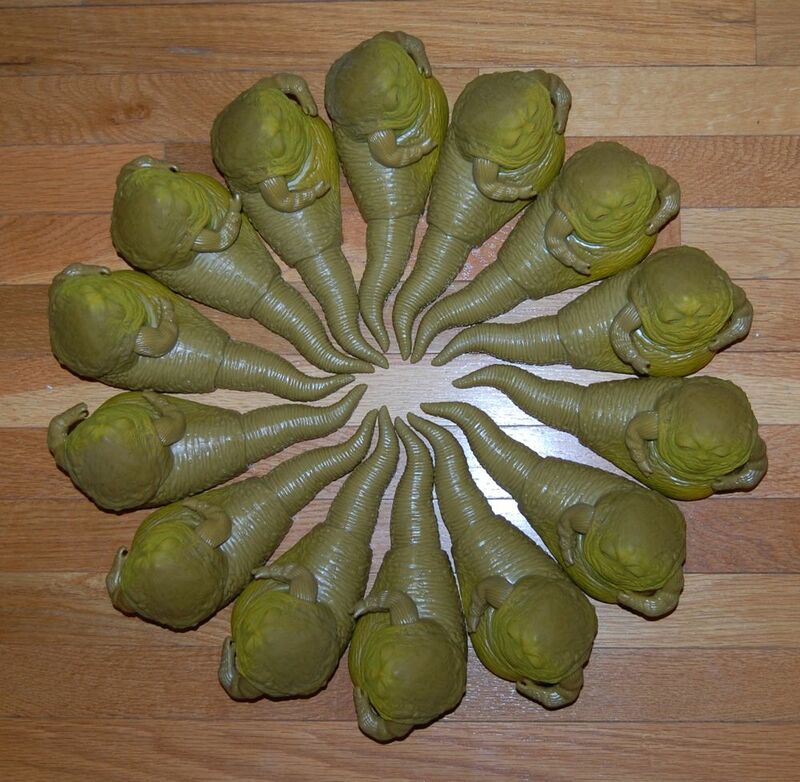 You can make a sarlacc pit entirely out of Jabbas. You can even make a psychedelic spiral design like this. I’m quite taken with this one. (Isn’t it interesting how they appear yellow in some shots and green in others? I guess it’s due to the different color backgrounds.) 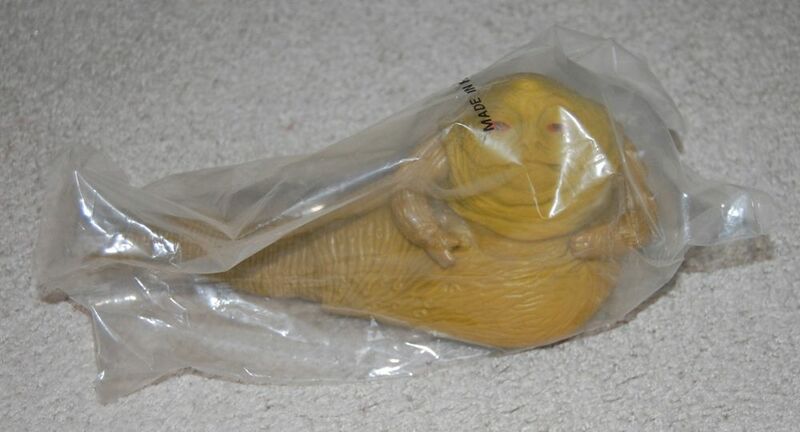 Part of me wants to track down 10 more Jabbas in baggies to complete the box, but even I’m not crazy enough to do that… Or am I? I’d rather not say exactly, but it wasn’t a huge amount. 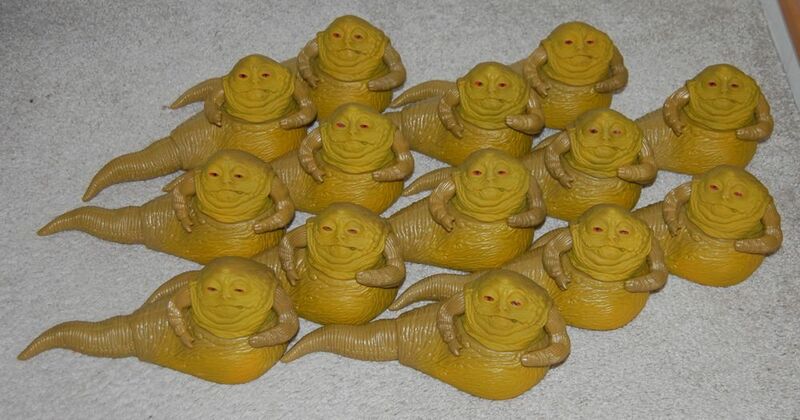 Probably a decent price for 14 vintage Jabbas in baggies, and the box was basically free. 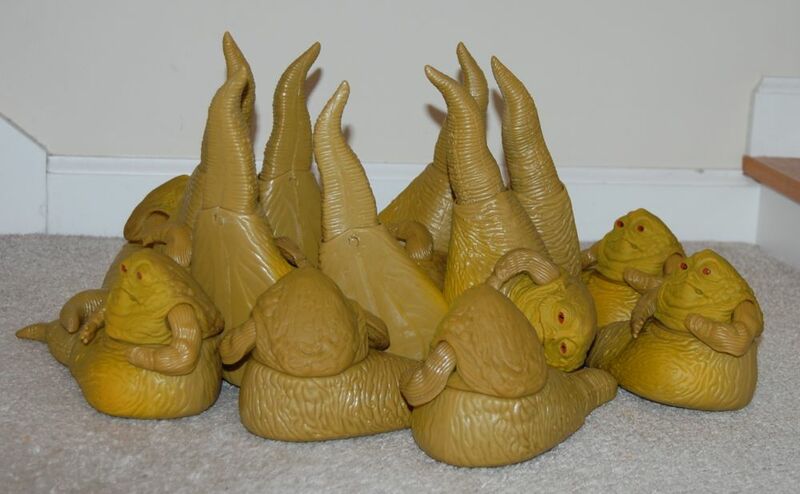 Fun with Jabbas… love it! I came across one of this boxes in 2006 or 2007 but I just acquired a few:The box from the ones I have was complete with similar printings outside, and not all this uncirculated Jabbas have the bags with print text on them. And the bags are not sealed as well.